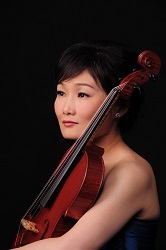 For most violists, 1919 brings to mind three-large-scale masterpieces for viola and piano that were written that year: Ernest Bloch’s Suite, Rebecca Clarke’s Sonata, and Paul Hindemith’s Sonata, op. 11, no. 4. The first two of these works owe their existence to the Berkshire Festival of Chamber Music Competition, established by Elizabeth Sprague Coolidge, an amateur pianist and lover of chamber music. Coolidge is remembered as one of America’s great patrons of music, commissioning a number of renowned chamber works, including Aaron Copland’s Appalachian Spring, Béla Bartók’s fifth string quartet, Anton Webern’s String Quartet, Sergei Prokofiev’s first string quartet, and Igor Stravinsky’s Apollon musagète. 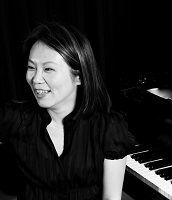 But her first major contribution to chamber music started one hundred years ago, with the organization of the first Berkshire Festival in 1918. While Mrs. Coolidge solicited the popular medium of the string quartet for the first Berkshire competition, she demonstrated her progressive nature with the selection of viola and piano as the medium for the second competition. Coolidge consequently became the catalyst for the composition of seventy-two new works that were entered into the 1919 competition, and she specifically encouraged both Bloch and Clarke to compose their winning works. But what of the other seventy works entered into the competition? The conditions of entry deemed that the works would remain anonymous, and though lists have survived naming entrants for other years of the Berkshire competition, the entrants for 1919 have remained lost to history. But violists have continued to speculate about what works might have been entered (particularly wondering whether Hindemith’s opus 11, no. 4 sonata one of them). This panel will take a lecture-recital format divided into two parts. The first part will provide biographical information on Coolidge and details about the six Berkshire Festival Competitions with a focus on the 1919 competition (including conditions of the contest, the jury, and known details about the judging process). 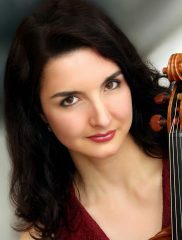 Panelists will also discuss the effect that the competition had on the development of viola repertoire and the careers of the two winners as well as the stylistic features of each winning work and the influences that shaped them. 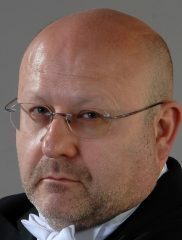 may also speculate on how individual judges voted during the 1919 competition and whether Hindemith’s opus 11, no. 4 sonata was entered into the competition. 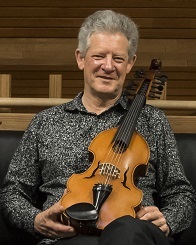 The present lecture-recital presents the influence of Lionel Tertis (1876-1975) on the emergence of the repertory for viola on the twentieth century. A brief biographical context of the English musician is presented, where some aspects of his life connected with the appearance of outstanding works are shown up, either for his musical career as well as for the repertoire of the instrument. 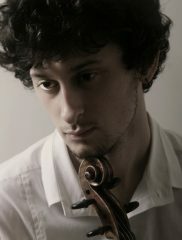 The analysis, selection, compilation and organization of the information, essentially obtained in secondary sources, provided the creation of a catalog with 122 works for viola, which has a straight relation with Lionel Tertis: Either by being composed or transcribed by him, dedicated to him, ordered by him and/or because he had made them debut. 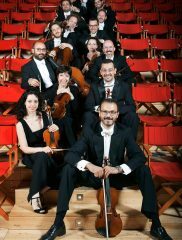 The ESMAE viola ensemble will perform several pieces from this repertoire catalogue. 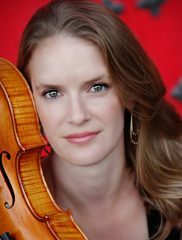 As a violist committed to the music of today, I collaborate with contemporary composers in order to develop new works to expand the standard repertoire. In contemporary music practice, often, composers and performers collaborate only for one single piece and for a short period of time. 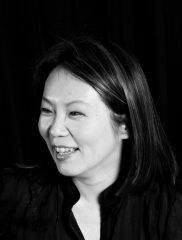 As a contrast, I propose a lecture-recital with my collaborator, composer Yoshiaki Onishi, that features one successful example of a collaborative model for performers and composers that already spans over a decade. In the first part, we will jointly present our working process that that culminated in Le quatrième pressentiment, a piece for viola solo that I commissioned him to compose. In particular, we will demonstrate in a detailed and transparent manner, the elements of collaboration required to achieve the musical result that that we mutually desired. In the second part, I will give the world premiere of the work. 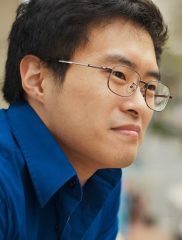 I first met composer Yoshiaki Onishi during university where we were both working towards a Master’s Degree at the Yale School of Music. From the beginning, I found the unique sound of his compositions particularly intriguing and convincing – there was an authenticity and honesty to his music, rather than just being demonstrative and predictable. In my own study of the viola, I wanted to be convinced by and be convincing in my playing, so I found a kindred spirit in Yoshi’s compositions even before we became collaborators. A free afternoon in April of 2007 confirmed my impression and has served as the basis for much of my motivations for becoming a performer and professional musician since. On this day, Yoshi asked if I would consult on a potential composition for strings. 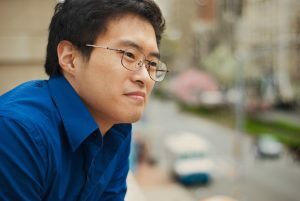 As a proficient clarinetist, he was intimately aware of the capabilities of wind instruments, but the idea of extending playing techniques for strings required a colleague who could honestly evaluate and productively inform him on his ideas. We spent over three hours in a music school studio, starting with traditional technique and its ranges, and then testing and experimenting with the instrument as a blank canvas. Some suggestions were humourous, some proved to be more effort than payoff – but others were surprisingly successful, creating even sounds normally associated with non-musical contexts. Then came the process of creating a notation for this new language – Yoshi was very open to my suggestions, inventing straightforward symbols to represent the new effects we were discovering. I recently found out that the recordings we made ten years ago are still being used as the reference for Yoshi’s compositions, a fact I find very flattering and at the same time, rather unsurprising, since our work was so through. At this meeting, Yoshi and I discussed collaborating on a piece together – after ten years of personal and professional development, our situations have finally aligned to allow for its creation. 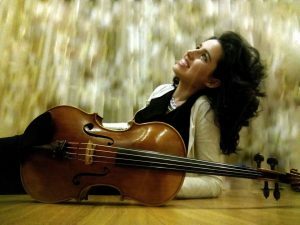 My development as a violist began like that of many others – finding the cello unwieldy, my parents gifted me with a violin whose study occupied me into my university years. In my development as a musician however, I became increasingly aware of an indescribable discontent – what was available from the instrument was ever more misaligned with my potential artistic inclinations. A lucky misunderstanding led to a sudden exposure to the viola, and through intense and concentrated study, I grew to realise the potential of this voice and my possible role in its promotion. The viola became a vehicle for adventure, and I was taught to explore it for its own identity and voice, rather than as a point of comparison to its instrumental cousins. 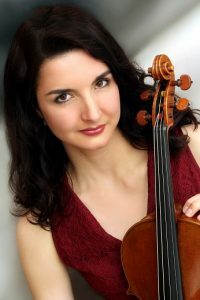 With this approach, it was possible to find a convincing character for the viola itself through self-reference and exploration, rather than mimicking the familiar or expected sounds of a violin or a cello. 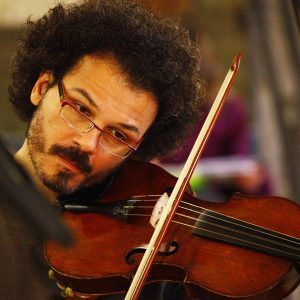 A curiosity for the possible led me to a multi-faceted study of the instrument, including training in baroque playing, improvisation, and popular styles, in addition to a continuing advocacy of classical music through collaboration with living composers on pieces written exclusively for the viola. Yoshiaki Onishi’s works are instantly identifiable through their characteristic soundscapes and marked awareness of instrumental potential. Both his technique and the music itself have a feeling of process and evolution that actually spans over multiple pieces that he writes over many years, as he describes this cumulation of work as ‘taking care of a tree.’ The tree is for him a fundamental, guiding principle in the act of composing, where an idea of sound must be manifested through a physical realisation, both in the notation on paper and in the performance itself. The idea of composition as almost mechanical production has been replaced by a motivation for organic creation; the goal is the incarnation of music that has its own reason for existing, rather than fitting an existing mould or reflecting an external reference point. 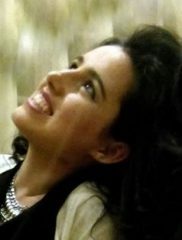 To achieve this, Yoshi speaks of the importance of limiting material to eliminate schizophreny and superfluous technique, and to enable a cohesive whole without peripheral noise. Such an approach allows for a thorough musical exploration – only what is absolutely necessary is what remains. Such a philosophical method of composition is ideal for new music composed for solo instruments, as priorities remain focused on an individual voice rather than competing polyphonic interests. 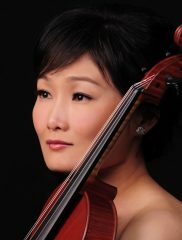 For violists, this is particularly appropriate, as it allows for music tailored to the strengths and unique characteristics of an instrument that until now has mostly performed transcriptions. 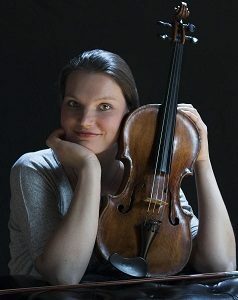 In the same manner that contemporary makers have fostered a renaissance in the development of acoustically improved viola forms, so too is this a time to promote and encourage the exploration of the viola as a unique personality among instruments. Throughout our friendship and professional collaboration, Yoshi and I have engaged in creating music without hierarchy, with a mutual respect and this common goal to serve as our motivation. Our lecture-recital at IVC 2018 would illuminate this process, culminating in the premiere performance of the piece composed for the occasion. 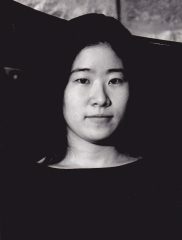 Pelczer will world premiere part IV from Les six aspects du néant (Six aspects of nothingness) by Yoshiaki Onishi. C. Wei: Old Wine, New Bottle? Humming a single and simple melody might be a relaxing and enjoyable moment for everyone. No matter she or he is a musician or not. However, creating an original and meaningful melody might be difficult for most of us. Composition is very interesting but also very painful for me. 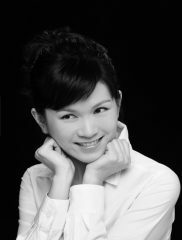 When I first studied composition in college, I dare to write a beautiful and singing melody. I was afraid that people would think I don’t know how to compose. It seemed that we, as a composer student, had to write something very difficult and something people don’t understand, so they would think I was a good composer student. However, this thought was completely changed after I went to Los Angeles in the United States. This lecture-recital will talk about how I use simple, beautiful, tonal melodies and folk songs, in my composition. As regards the title to this abstract, “Old Wine” could be related to folk song and old melodies. “New Bottle” will represent a new composition. 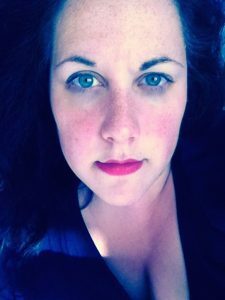 Using folks are one of the resources for composers. “How to restore ancient ways” and “how to rebirth oldness” are the ways to give the folks a new life. This is a 20-minute single piece, and it presents how I mixed my own composition and a 11-measure folk song. 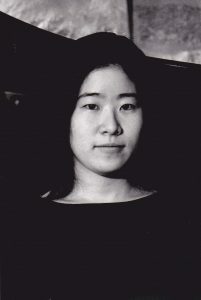 Hsiaopei Lee world premieres Going Nowhere, Being Nobody (for solo viola), by Chih-Chen Wei. The scordatura (Italian for mistuning) is a device applied to string instruments, including lutes, guitars, viols and the violin family, consisting of an unconventional tuning. It was requested for the violin already in the 17th century and apparently it was introduced for the viola in the 18th. The socalled “transcription sordaturas” for viola involves all four strings, rised either a tone or a semitone for brighter sounds and more comfortable keys for players. Significant is Mozart’s scordatura request for the solo viola in his Sinfonia Concertante for violin, viola and orchestra KV 364 in E-flat major. 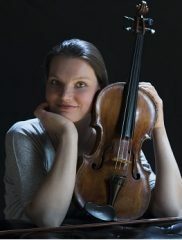 The original part for viola is written in D, although a longstanding performative tradition ignores Mozart’s scordatura request and plays the Sinfonia in the key of E-flat. The two solo parts were written impartially; also thanks to the mistuning of the viola, the two instruments could compete (quite unusual at that time) and their timbres, become similar, could approach and easily melt. Probably around that same year, after the composer was back to Salzburg from his last long journey which took him to Mannheim (whose court orchestra techniques had left a deep impression upon his composing habits) and Paris (where the genre of sinfonia concertante was very popular), Mozart – who was also a skilled violist – requested the scordatura in another Sinfonia Concertante which he left unfinished, the KV Anh. 104 (320e) for violin, viola, and cello soloists and orchestra in A major, whereas the part for viola is written in G. In Mozart’s autograph, the music ends at m. 134 of the first movement, at the beginning of the Development section, after a complete opening Ritornello for Tutti and the following Exposition of the three soloists left without orchestral accompaniment (it only features Tutti interjections). The project here proposed consists of a two-part session: a Lecture (10 minutes) and a Recital (40 minutes ca.). 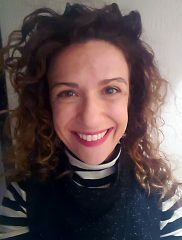 The paper will be addressing the scordatura as a resource for players and composers, and will be delivered by the musicologist Daniela Macchione (historical perspective), the violist Gianluca Saggini (performer’s perspective) with the participation of Alessandro Solbiati, the Italian composer who was commissioned by “I Solisti Aquilani” to make a completion – more than a simple reconstruction – of Sinfonia Concertante KV Anh. 104 (320e). 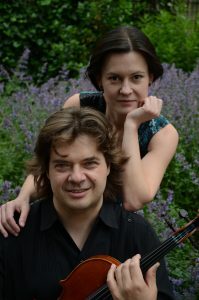 The recital will feature Saggini on the mistuned viola, together with the “I Solisti Aquilani” orchestra and its violin and cello soloists, playing Mozart’s KV 364 and the completed first movement of KV Anh. 104. The ensemble adopts classic bows and a pitch adjusted on 432Hz. 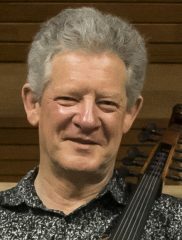 This presentation will discuss the life and compositions of German composer Christoph Graupner (1683-1760), a contemporary of Bach, Händel and Telemann. Graupner’s music was almost lost forever after his death due to his request that it should all be destroyed. For over two centuries it remained ‘out of bounds’ and it was not until the 1970s that access was fully reopened. 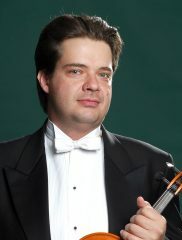 After providing the context in which Graupner was employed, and his position amongst his contemporaries, and his overall compositional output, the focus will shift to the many works in which he featured the viola d’amore and in particular the two double concertos for viola d’amore and viola. It will explore the reasons the viola d’amore was so highly regarded by him and will investigate scordatura possibilities other than the standard ADADFAD tuning most commonly used in the baroque era. 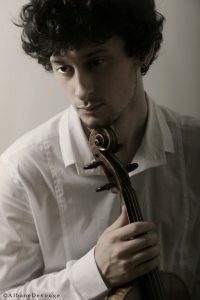 After sharing an innovative approach to scordatura notation to cover any potential tuning of the open strings, the presentation will conclude with a performance of the double concerto in A major GWV339 utilising a non-standard viola d’amore scordatura to maximise the instrument’s natural resonances. 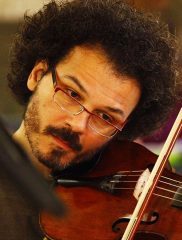 Donald Maurice will be joined as co-soloist by Polish violist Marcin Murawski, with whom he made the world premiere recording of this work, released in 2017 by Acte Prealable, a Warsaw-based record company. 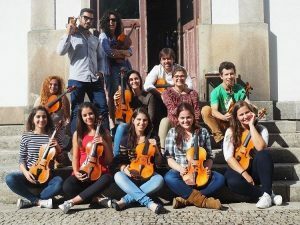 They will arrive in Rotterdam directly from a project in Poland, filming performances of concertos by Graupner featuring the viola d’amore, on location in historic buildings. The pedagogical approach to this project is to perform on modern instruments at A=440mz observing best practice in stylistic fidelity. 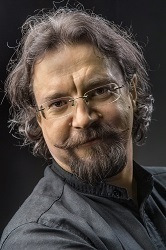 Apart from the circumstances of performance mentioned above that identify with the conference theme of innovative approaches to performance, the filming project that immediately precedes this lecture recital, and which will be released in early 2019, aims to be a world leader in presenting ancient music with innovative 21st century media possibilities. Maurice and Murawski each have produced extensive discographies in their own right and this collaboration between them has also played a role, through their respective embassies, in fostering a strong cultural relationship between Poland and New Zealand. 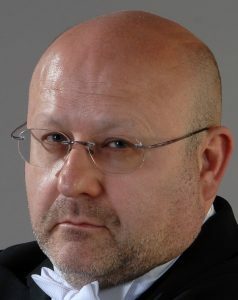 This Lecture-Recital is the occasion to present unknown music from the Italian romantic repertoire, in particular the Viola Sonata presumed composed by the famous opera conductor Tullio Serafin (1878-1968), in first premiere. 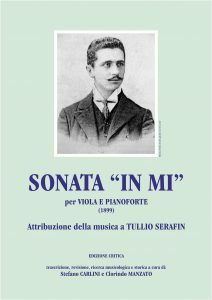 This Viola Sonata, long considered lost or stolen from Serafin personally, was his composition for composition studies at the Milan Conservatory, written in 1898. The lecture includes a presentation of the life and art of Tullio Serafin, who died exactly 50 years ago (1968), and the consultation of the manuscript, on slides. Stay tuned! Directly following this lecture-recital presentation, prof. Carlini will dive into a Masterclass on the solo sonatas by Enrico Polo. There is not a vast collection of compositions for viola by South African composers. Up to the year 2009 a total of 127 compositions were documented (unfortunately there are not more recent, official statistics available). This include works for viola as solo instrument, with piano, with orchestra as well as in ensembles. 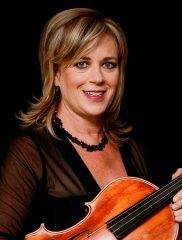 South African composers like Hubert Du Plessis, Arnold van Wyk, Matthijs van Dijk, Athur Wegelin, Niel van der Watt have composed quite a few works for viola. I would like to focus my presentation on those who incorporated African elements in their compositions like J Mokale Koapeng, Hendrik Hofmeyer and Tsepo Tsotetsi that makes it true to Africa. These compositions are not well-known to the international audience and that needs to be rectified. Due to the well-known Apartheids-regime in South Africa composers like Tsotetsi and Koapeng did not get the recognition they deserved and it is my mission to rectify that. I want to introduce these beautiful works to the congress attendees. 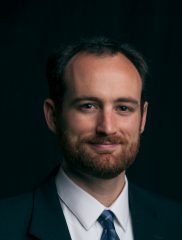 I will perform (exerpts) of these pieces and elucidate the conference attendees on the history of the pieces, as well as background on the composer. I will also introduce special and sometimes new playing techniques necessary for the execution of the unique sounds of African instruments and sounds so unique to Africa imitated on the viola. in a climactic varied reprise of the opening idea, which marks the start of the recapitulation. The ternary slow movement starts with an incantatory melody generated entirely from natural harmonics on the viola. A faster variant of this idea is taken up by the piano as counter-melody to a new theme on the viola, which grows from the x motif. The middle section is formed by a mysterious lullaby, based on a setting of William Blake’s A Cradle Song, which explores the chromatic third relationships on which much of the tonal structure of the outer movements is also based. After the varied return of the first section, the movement concludes with a brief coda, in which elements of the two sections are juxtaposed. Every viola player probably knows why and how these two pieces are linked together – the story of Paganini commissioning a virtuoso viola concerto by his friend Hector Berlioz. Paganini’s great irritation after seeing the viola part of Harold in Italy, (which he considered to be too simplistic for him, aside from the unbearably long silences) triggered the composition of the Sonata per la Gran Viola. This unique story is not the only factor that makes this programme especially attractive for the broad public; the background of Harold in Italy was based on real-life experiences. These are described in Berlioz’s ‘’Memoires”, which I will present with brief quotations and fragment demonstrations. Last but not least – the astonishing musical quality of both pieces, a phenomenal piano transcription of Harold by Liszt, and sparkling virtuosity of the Sonata, highlight the virtues and diversity of our instrument. 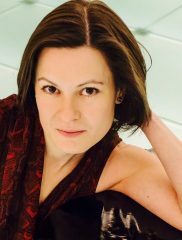 Together with pianist Hanna Shybayeva, I created a “player- and audience-friendly’’ version, which combines the Liszt transcription with an edition of a viola part by Hugh McDonald. In this version, the viola takes over several solo’s of the orchestra instruments and plays together with piano in tutti’s. Due to limited time, only selected fragments of this Harold version can be demonstrated. The cadenza’s in the Sonata are composed by the great viola virtuoso, my former teacher, Michael Kugel. I’ve been fascinated by Japanese culture since I was initiated to martial arts. I even composed a few years ago a short work named Empi, for viola only, which was inspired by the movements of the Empi kata in karate. Undō is composed of fourth textures, first the soundtrack from my viola, second the ring bells from a sonogram analysis of the melodic sound of Iranian kamanche viola with the use of «AudioSculpt», and I finally used «Open-music» to recreate a harmonic texture. The chords thus created have been assigned to a midi instrument «Tubular Bells», which created these strange bells, sometimes with quarter of tones. Third, there are digital effects used at the same time in automation on pre-recorded tracks or controlled live with softstep; fourth, the viola sound with the written part which include several techniques of playing. The piece includes 3 scenes in Ableton-Live (A,B,C), which use different ways the digital processings. All is written down, the only part which includes improvisation is part B, but works like a pivot for the final theme. The initial harmonic and melodic material is quite modal and is inspired by pieces of the late Renaissance like Carlo Gesualdo. 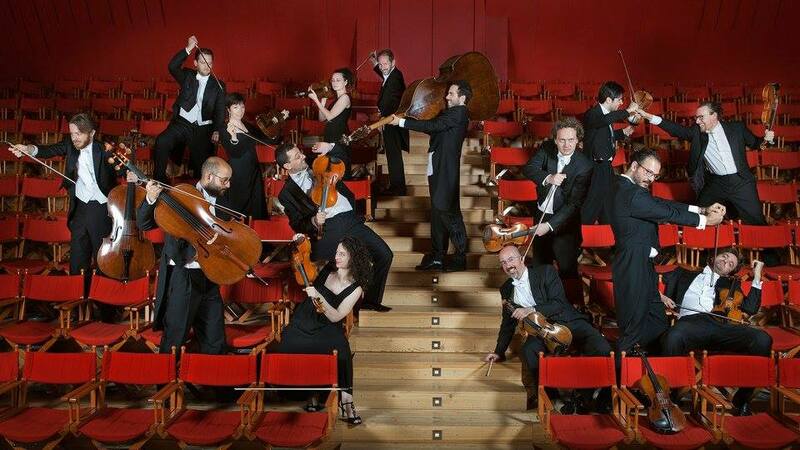 The countrapuntal and melodic part for «violas» contrasts with the intangible and clockwise movement of the bells. I wanted to bring together the viola and the machine, earthly and digital time, ancient music and the «noise» of the ultra contemporary electronic music, and then to confuse the issue in the final part by bringing a bit of tonality and conferring a unifying role to the bells. The video by Jullian Hoff, composer in digital arts, was pieced together from the music sheet. It explores the shock between two times since most of the shapes and the colors are from the patterns that Jullian calligraphed himself. We tried both alike to be thrifty in the material and tried to create a visual and musical space out of time.